Kitchen pantry organization is one of the most neglected tasks. Yet a disorganized kitchen can hinder even the most confident cook. When spices are shoved to the back, cans are stacked and hidden, and grains are left in their original plastic, precious space is wasted and ingredients can go to waste. How uninspiring! Putting the pantry cupboard in order is the first step to create an inspiring and functional space. Creativity flows freely in an organized kitchen. The best way to begin any home organization task is to declutter. Go through each and every ingredient, spice, and canned good to make sure that it is still usable. Check expiration dates on canned goods. 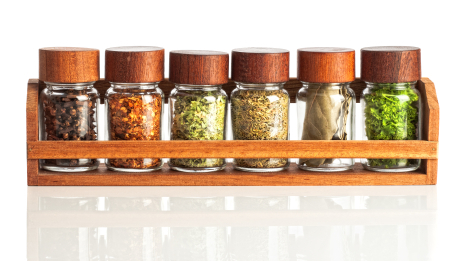 Spices that are faded in color or lack their original aromas should be tossed. Consider how often you use certain ingredients. An infrequently used ingredient is a waste of space and ought to be either donated or tossed. Next, make sure ingredients are properly stored. Purchase clear, air tight containers for grains and pastas. Be sure to affix labels. We love these and these. 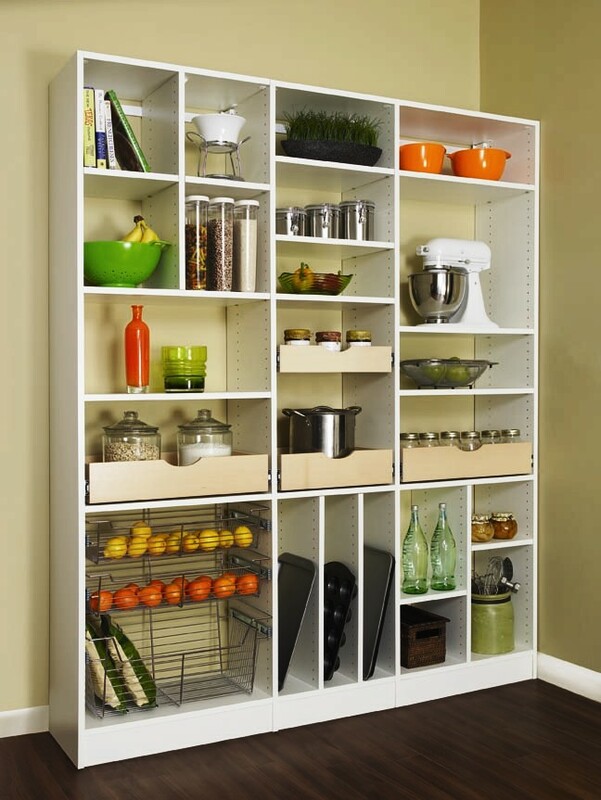 Pantry organization should not only be functional but pleasing to the eye. Consider your storage surfaces. Is shelving deep enough? Is it properly positioned to offer the greatest amount of storage space? Staples ought to have their own dedicated spaces. Sliding baskets are perfect for potatoes and winter squashes which require air flow to stay fresh. Properly store non-food items. Some keep non-food items in the pantry, such as kitchen appliances and food storage materials. Are those items appropriately stored so that they are easily accessible, but out of the way? Sliding shelving in the pantry can even create an alternative work space. Who couldn’t use an extra work surface? Once the kitchen pantry is organized, keep it organized! The best way to keep it that way is to keep a constant eye on pantry inventory. With a well-organized pantry that showcases ingredients in well-displayed, easily-accessible dedicated spaces, it’s easy to make sure ingredients aren’t being shoved to the back, out of sight and mind. A well-organized kitchen is more fun to cook in! We’re custom closet, laundry, and pantry organization specialists, able to consider the individual needs of our customers to design perfectly organized storage spaces. Consider More Space Place, a family-owned and operated business, for your kitchen organization needs.